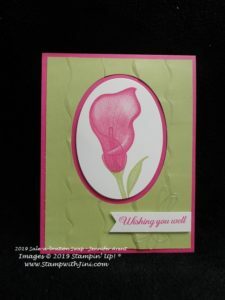 Today’s post will be a quick one as my son and I are headed out for a day together – So I’ll be sharing some more cards using the Lasting Lily stamp set that you can earn for FREE during Sale-a-bration. 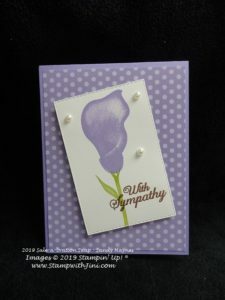 This set creates beautiful cards easily for all kinds of occasions. Beautiful right? I can’t pick a favorite. How about you? Why not leave me a comment and let me know yours? The is only one way to get this set and that is to earn it. 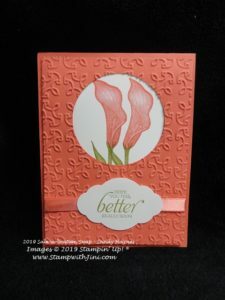 During Sale-a-bration you can get it for FREE this along with other exclusive Sale-a-bration items simply by placing a qualifying order with me. Or better yet, earn even more by hosting a private class with your friends! Because during Sale-a-bration not only can you and your friends earn FREE products with a qualifying order, but our hosts earn an extra $24 benefits with a qualifying event. 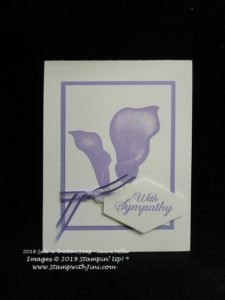 Contact me today by email at stampwithjini@gamail for more information and we’ll set up a time that works for you and your friends! 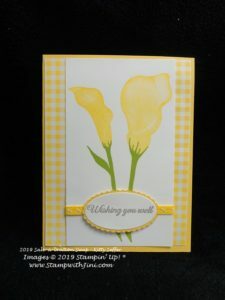 This entry was posted in Cards and tagged Lasting Lily by Stamp with Jini. Bookmark the permalink.